As the 20th Century began to fade into the rearview mirror, a number of journalists, promoters, and musicians started to push for a way to honor the music and musicians that made Colorado their home. Various efforts from local papers to arts organizations approached the task, but none succeeded. Then in 2011, Chuck Morris, the storied promoter/manager whose career began in the 1970s with booking acts at a little club on the Hill in Boulder called the Sink, got together with journalist and writer Gary Brown to create the Colorado Music Hall of Fame. Structured as a nonprofit, Chuck and a board of committed music-loving volunteers conceived of the Hall as encompassing more than just one style like Rock ‘n’ Roll. Their vision was to include the length and breadth of music, organizations, and supporters (like radio stations, individual promoters, and concert venues) that made a mark on Colorado and the world beyond. The Kickoff Dinner was hosted by devoted board member Jay Elowsky at his restaurant in Boulder called “Pasta Jay’s” and featured impromptu performances from some of Colorado’s best known musicians including Firefall’s Jock Bartley, bluesman Otis Taylor, John Magnie from the Subdudes, Kenny Passarelli, who was a member of Joe Walsh’s Barnstorm and Elton John’s band, Bill Nershi from String Cheese Incident, Chris Daniels of The Kings and Magic Music fame, and Freddi Gowdy from the Freddi Henchi band to name a few. Chuck Morris, the board, and the CMHOF’s first director, “G” Brown, built an amazing catalog of artists, individuals, and organizations they wanted to induct. From folksingers like “Lingo the Drifter,” and storied Denver Folklore Center owner and musician, Harry Tuft, to John Denver and Red Rocks; from promoters like Barry Fey to Jazz greats like Charlie Burrell (the bassist who broke the color barrier by being the first black musician to command a first-chair position with a national symphony orchestra in 1949); plus all the new music coming out of the state like EDM superstar Pretty Lights and soul-singer Nathanial Ratliff – the board and director knew their task was daunting and ongoing. One of the first steps was to find a financial backer who believed in the vision and who had a track record of involvement with the Colorado community. Dr. Neil Norton, VP for Marketing at Comfort Dental, became involved with the project early on, and through the incredible support of Comfort Dental, the Hall found an organization and a partner that understood the vision and wanted to be a part of building the legacy. The next step was finding a home for The Colorado Music Hall of Fame presented by Comfort Dental, and after a short residency at the 1st Bank Center in Broomfield, Chuck and Denver Mayor Michael Hancock, along with Governor John Hickenlooper, decided to make Red Rocks the home for our exhibits and presentations. Thanks to all their efforts and the support of the city of Denver who owns Red Rocks, the Hall now has a permanent exhibit space at the Trading Post on the east side of this nationally respected concert venue. 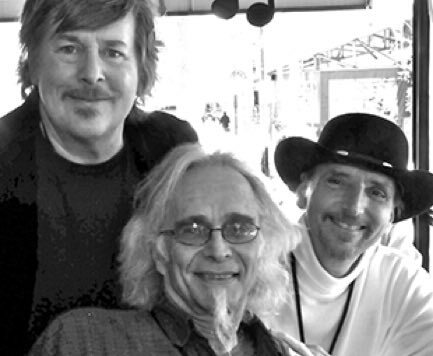 – The Nitty Gritty Dirt Band to East High School’s award-winning music program – the CMHOF presented by Comfort Dental is on a mission to preserve, educate, and celebrate the music, individuals, and organizations who make this state, and the world at large, a better place through music. To give you a little inclination of the inclusive nature of the Hall, check out the Astronauts. 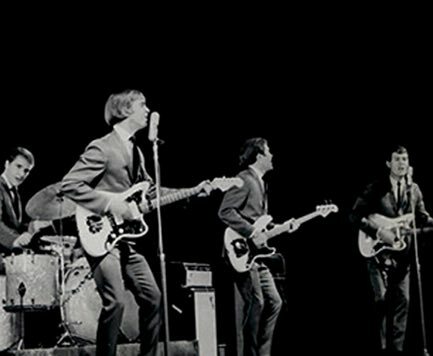 They were a landlocked 1960s surf band from Boulder, outselling the rival Beach Boys in Japan and playing surf music 1,000 miles from the nearest big wave until the Vietnam War and the military draft ended the band’s string of hits. Or John Denver becoming part of a worldwide public consciousness and an ambassador for the state with “Rocky Mountain High.” Then there is Joe Walsh, writing his signature tune “Rocky Mountain Way” that would be his calling card into The Eagles. Whether we are inducting Philip Bailey of Earth, Wind & Fire and a graduate of East High’s music program or looking forward to when we can induct an artist like Big Head Todd & the Monsters, the diversity of the music from Colorado is truly mind-boggling. 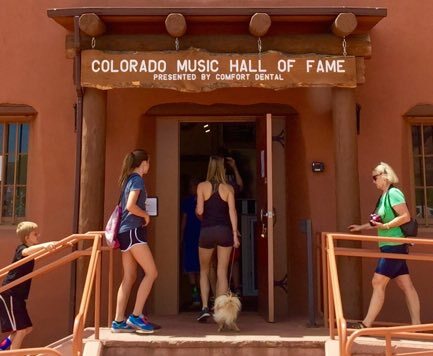 The Colorado Music Hall of Fame presented by Comfort Dental is currently located at the Trading Post at Red Rocks, and our mission is to honor those individuals who have made outstanding contributions, to preserve and protect historical artifacts, and to educate the public regarding everything that’s great about our state’s music. The Hall is in the service of those traditions in order to influence the next generation and the one after that and beyond – to help shape our state’s musical future by telling their stories so that others can draw inspiration.